Hello and welcome to my website. My name is Janis and I am an ethical professional intuitive reader. Fully endorsed by The Tarot Association of the British Isles. I absolutely LOVE the Tarot. It is endlessly amazing and mysterious in the best of ways and I have been reading Tarot professionally for about 10 years. So many people have been helped to find a way forward. I find the Tarot to be full of wisdom and warmth. Its advice is wonderfully impartial. It works fantastically well alongside personal counselling, NLP and life coaching. All of which I can bring to each session if the situation requires. At the center of everything though are the cards. I deliver clear and insightful readings in a warm and sensitive manner. The aim of each reading will be give guidance on how best to proceed in each given situation to gain the utmost benefit. We will explore the energies around you at this time, what has led up to this point, where they are currently leading you at the moment and what paths will serve you best and what you should prepare for. Whether our issues are to do with relationships, career, finances, anxiety or uncertainty - about a decision or best the way forward - the first step is understanding that we can take power and make changes. We do have the ability to change our lives and our destiny. Tarot readings are available in Twickenham, Richmond, Teddington, Kingston, Whitton and Hounslow – call for more information. 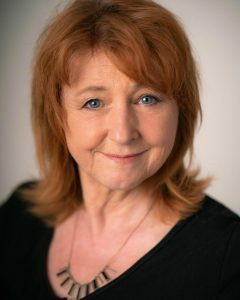 I’ve had quite a few readings with Janis over time and always get a lot out of them – she approaches the issue at hand with warmth, humour and candour. She’s great at putting people at ease and is open, frank and often offers new and thought-provoking perspectives on a situation. Great intuitive reader and recommended. Thanks for that lovely review Anna, much appreciated. Janis, is the real deal! I found Janis on Google and booked a 1 hour reading with her. I told her absolutely nothing about myself and she was able to pick upup everything that I was feeling over the phone within just a few minutes. As time progressed, she knew everything that i was experiencing and she was able to provide me with accurate details and solutions to help me move forward. Janis empowered me to take back my life, and to address things without fear. Janis has a friendly approach and she has a genuine and warm nature which allowed me to feel comfortable to speak openly. I loved my reading! It gave me peace of mind and clarity to move forward. She is worth every penny, she is the real deal. She will pin point everything without you having to say anything at all and offer tangible guidance to support you. One word to describe her….. magical!! Thanks for such a lovely review Denise, it was lovely to meet you, even over the phone. I’m so glad you are happy and that the reading connected so profoundly with what was happening in your life and that you felt empowered and strengthened as a result. That is the tarot working at it’s best and it’s a priviledge to be part of that communication. Thanks so much for that lovely review Lezline, I really enjoyed meeting you and am glad the reading helped. I really wish you luck with all your plans for the future. Incredible, did this on a whim, and wasn’t sure what to expect but I was blown away! Spookily accurate, and really fantastic advice, I’ll definitely be back. Thank you, Janis! Thank you Laurie, it was a pleasure meeting you. Janis has read for me a number of times. I have always found her readings clear and unambiguous, delivered in a confident, warm and non threatening, non ‘Mystic Meg’ way. I would thoroughly recommend her. Thank you for that review Ray, it’s always a pleasure to read for you. Janis is an extremely intuitive reader. Her interpretation of the cards is uncannily accurate, coupled with clear, helpful, empathetic guidance. A warm and positive experience – I have no hesitation in recommending her. Thank you Patricia, it was a pleasure reading for you. The readings I’ve had from Janis have always been very on-point with what has been going on in my life. They have provided me with interesting and insightful guidance on how to navigate difficult times. She has a very calming nature about her, and unlike others I have attended, I never feel worried after a reading. I get a great sense of certainty from what she draws from the cards. I’ve enjoyed the readings with Janis so much that I have also recommended her to family members, who have nothing but praise for her fantastic readings. Thanks Rhi – I’m so glad we’ve been able to work together. Hey thanks Barbara, that’s lovely and much appreciated. Had a lovely reading from Janis today which helped me gain perspective; I was left with a sense of optimism and hope for the future which I cannot thank her for enough. I will definitely be back for a reading if I ever need one again! Thank you so much for that review Zahra, I’m so glad it helped and I’m sure you’re going to move forward to exciting and positive times. 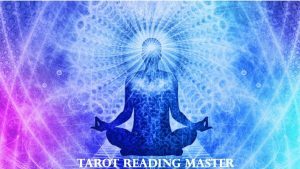 Free one card Tarot reading! Never tried Tarot before? – I’d like to offer you a one card reading with my compliments! Email me a question (janis.tarot@outlook.com) and I’ll draw a guidance card and email you with a mini reading in answer to your question. The Tarot is a wonderful way of focusing on YOU! Attend a one to one six week study course from beginner level to help you use understand and to go on and use the Tarot as a self help tool.